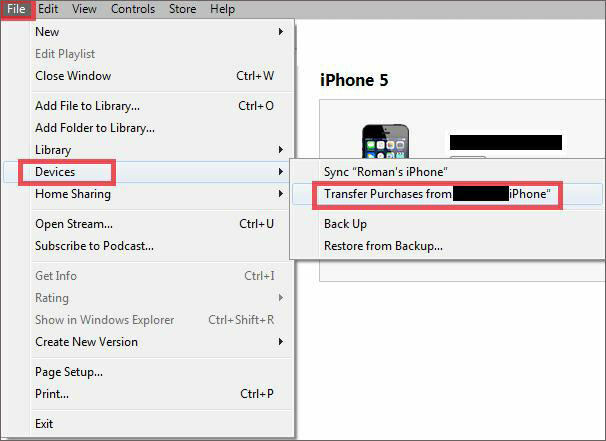 Apple provides various methods of data transfer through its in-house apps. They are effective but also comes with certain restrictions. There is iCloud and its Photo Library function is adored by a lot of users. There is also iTunes, but it is not very popular anymore due to its poor performance. There are a few new apps that Apple has introduced like Photo App, AirDrop etc. A few third-party apps are also holding the market. So, if you are looking for how to download photos from iPhone to Mac, you can look through all of these apps and how they perform and then make an educated decision. So, let's get started. 1. Download and install the app from the official website. 2. Run it on your Mac. 3. Now, connect the iPhone and Mac using a USB cable. 4. After Mac detects the device go to "File Manager" and click on "Photos" from the list. 5. Now, you need to select the photos you want to send and then click on "Export" to transfer the images. You can also preview the images before transfer. As per user's recommendation and our tests, Tenorshare iCareFone is the best app on the market right now. It has proven its values by providing safe and secure transfer of your photos or any type of data. Photos app is the upgraded version of the decommissioned iPhoto. It is essentially iPhoto with some improved functionalities. 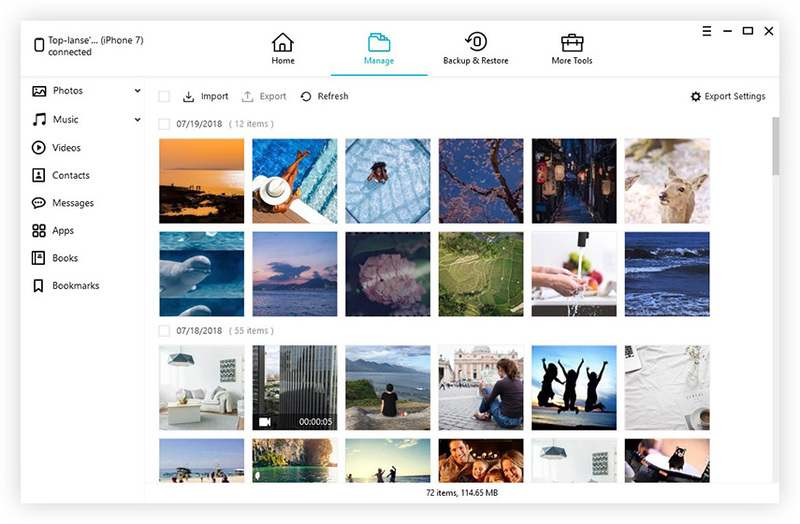 The app was designed to store and organize your photos and videos, regardless if they are old or new. You can also use the app to share your photo collection with other iDevices as well. It is recommended by Apple, to have iTunes pre-installed on your computer before using Photos app. So, by keeping this in mind, here are the steps to use the Photos app for direct photo transfer. 1. Download the latest iTunes and install on your Mac. 2. Run the Photos app. 3. Now, connect both your iPhone and Mac via a USB cable. 4. After your device is recognized, click on the "Import" tab. 5. Now, choose the photos you want to send among your collection. 6. After selecting them you can send them to Mac. Although it is a new app, it has gained a lot of popularity among iPhone users. It needs iTunes support to work smoothly. 1. Get your iPhone and MacBook/Air connected to the same Wi-Fi. 4. On your Mac, run Airdrop and turn on the discovery settings to "Everyone"
7. Accept and save to Mac now. So, here's how to download pictures from iPhone to Mac using Airdrop. iCloud is one of the most attractive apps provided by Apple. It is not the shiny interface that attracts users but the various user-friendly features and mostly the iCloud Photo Library. If you own more than a single iOS device then you must use iCloud Photo Library. This function syncs all of your photos in one place and you can access them from any one of the connected devices. To use this function you must activate iCloud Photo Library on all of your devices. 1. Take out your iPhone and go to "Settings". 2. Then connect the device to the Wi-Fi network. 3. Then tap on your name before entering iCloud. 4. Now, go in and turn on the switch beside "iCloud Photo Library" option to activate it. 1. Open your Mac and connect it to the same Wi-Fi network as your iPhone. 2. Open Photos App on Mac and go to the Photos option at the top. 3. Navigate to "Preferences" and click on the iCloud tab. 4. A list of options will be opened, choose the "iCloud Photo Library" among them to turn it on. After the activation, all the photos will be synced automatically, and it will take a few hours to sync all of the photos. You can get access to the photos in the Photos app. This is how to download pics from iPhone to Mac using iCloud. A major con of this method is the fact that you only have 5GB of free storage space in iCloud. If you want more space, you must pay for it. iMessage was primarily designed for the purpose of conversation between iOS users, but like other messaging apps you can also send small bytes of data through the app. If you want to send a few pictures or small videos via the app from iPhone to Mac then you need to activate iMessage on your Mac. 2. Then go to "Preferences"
5. After you do that, select the "Enable this account" option. 6. Now that your iMessage account is open on Mac, just select the photos you want from Camera Roll and tap the Share icon to select Message tab. Enter the same Apple ID logged in your Mac and you can easily send and download pictures from iPhone to Mac instantly. So, basically, all of these apps perform well and provides security for your data. Most of these apps are a feasible answer to a typical question like " How to download photos from iPhone to Macbook?". Each of these methods is tested by us as well as by many users around the globe and they have reported positively. But when it comes to the best method here, it is simply the Tenorshare iCareFone software. This third-party app is the best iOS data transfer tool available now. It is exceptional, offers fast transfer speeds and provides other valuable services that can be really helpful to make your iPhone/iPad to work at its fullest capabilities.